According to our understanding, flat panel solar collector is a device that absorbs solar radiation energy and transfers heat to working substance. 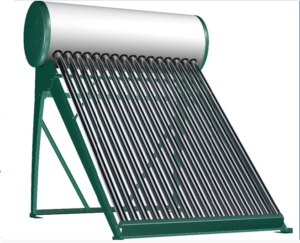 It is a special heat exchanger, in which the working substance exchanges heat with the long-distance sun. These devices are mainly used for active solar heating and allow the heating of water for personal use. Plate solar collectors are made up of heat absorbing plate core, shell, transparent cover, insulation material and related parts. They have fashionable appearance, high performance, multi-function, easy installation and strong field test durability. We offer solar collectors, solar water heaters, enameled water tanks, etc. 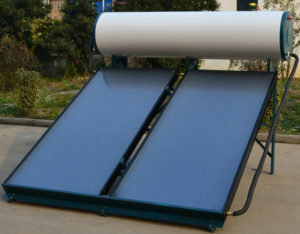 The tubesheet heat absorber is a flat plate solar collector heat absorber plate, which is formed by connecting the exhaust pipe and the flat plate in a certain way, and then welded with the upper and lower collectors. This is the structure type of heat absorbing plate which is widely used at home and abroad. Wing tube heat absorber is made by extrusion and stretching of the die into a heat absorber strip with fins on both sides of the metal tube (such as the right picture), and then welded with the upper and lower manifolds to form a heat absorber plate. 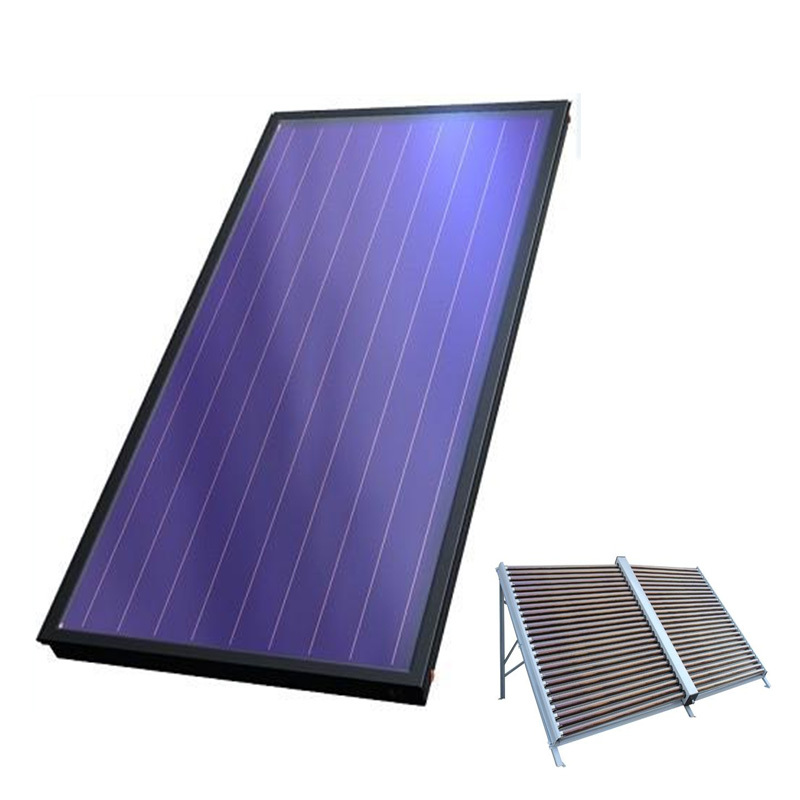 Aluminum alloy is generally used as the material of heat absorbing plate of flat solar collector. The advantages of wing-tube heat absorber are: high thermal efficiency, the tube and the plate are integrated, without combined thermal resistance; strong pressure resistance, aluminum alloy tube can withstand higher pressure. High, no combined thermal resistance; clean water, copper pipe will not be corroded; ensure quality, the whole production process to achieve mechanization; strong pressure resistance, copper pipe can withstand higher pressure. The shortcomings of snake tube heat absorber are as follows: the flow resistance is large, the fluid passage is not parallel but series; the welding is difficult, and the weld is not straight line but curve. Flat box type heat absorbing plate is formed by pressing two metal plates separately, and then welded into one to form heat absorbing plate. The material of heat absorbing plate can be stainless steel, aluminium alloy, galvanized steel, etc. Defects of flat box heat absorber plate: welding process is difficult, easy to appear problems of penetration or improper welding; poor pressure resistance, solder joint can not withstand higher pressure; poor dynamic characteristics, large cross section of fluid channel, heat absorber plate has larger heat capacity; sometimes water quality is not easy to guarantee, aluminum alloy and galvanized steel will be corroded. Solar flat plate collector is manufactured by laser welding to improve its performance and aesthetics. Laser welding of absorption tubes ensures very high mechanical bonding to withstand high temperature gradients and thermal expansion. These collectors are made of the highest absorption coating in the industry, namely vapor deposition coating. The building aluminium angle inside the collector includes special pin clips and rivets to ensure high stability. Silicon is not used on the collector. Extruded parts of ribbed aluminium alloy and smooth compressed EPDM gaskets provide water tightness. This allows easy access to the collector at any time or place for maintenance or maintenance. The glass washer on the equipment ensures long service life and avoids all water infiltration! It is also equipped with a general installation framework.